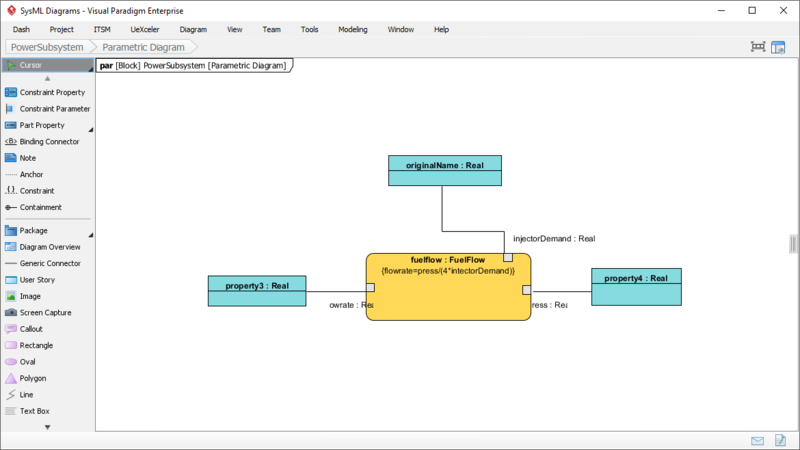 Create SysML diagrams with a professional SysML diagram software. Effective identification and management of requirements can lead your project to a success. 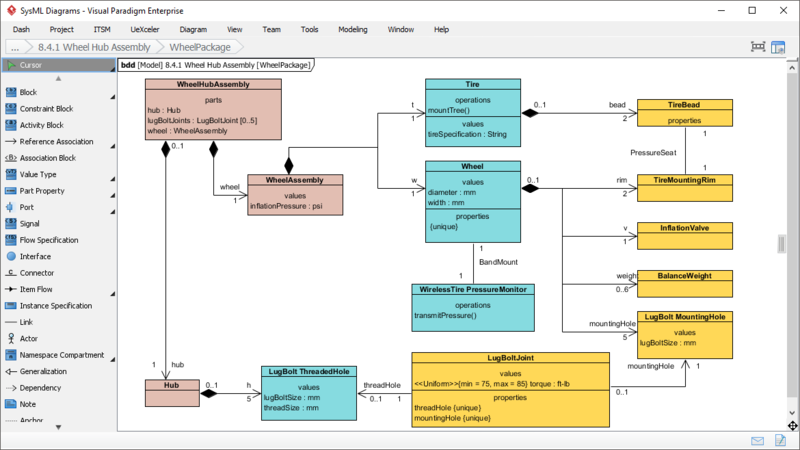 The SysML tool features a SysML requirement diagram tool that provides a visual approach in representing and managing system requirements. 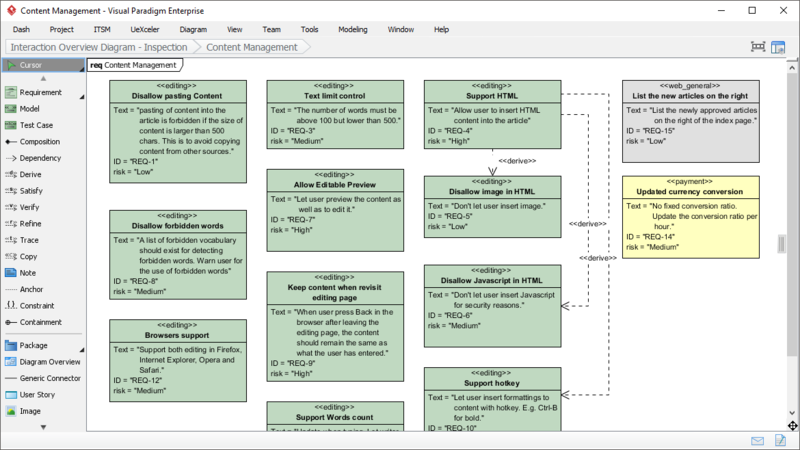 In a requirement diagram, requirements are shown as blocks, with connectors in between, illustrating the derivation, dependency and grouping of requirements. 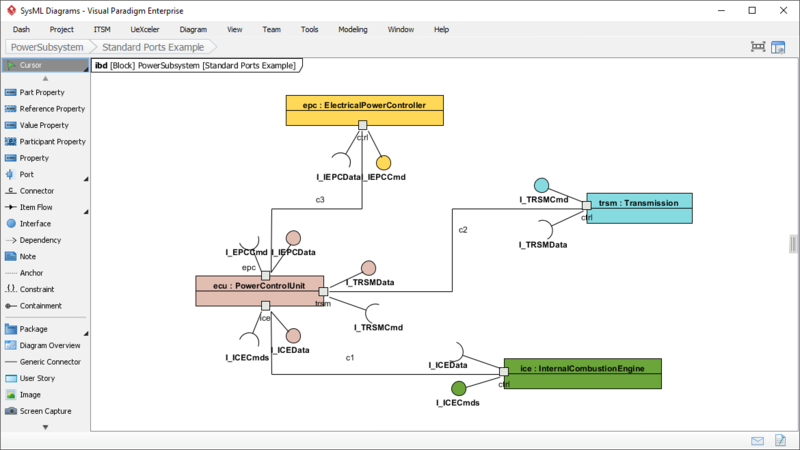 The requirement diagram tool allows you to define your own requirement types, with user-defined properties and appearance, and to produce a list of requirement to Excel for external manipulation. Import the file back for updating. Visualize your system hierarchy. Define the system/component classifications in blocks to get a better picture of interconnections between these system components. Take a closer look at your system design. Describe the internal structure of a system in terms of its parts, ports, and connectors. Parametric Diagram is a restricted form of internal block diagram that shows only the use of constraint blocks along with the properties they constrain within a context. Parametric diagram is used to support engineering analysis, such as performance, reliability, and mass properties analysis.